The European Commission failed for a third time last week to secure the support of a majority of EU governments for an extension of glyphosate, the main ingredient in Monsanto’s Roundup and other herbicides. Objection to the widely used pesticide is based on the World Health Organization’s International Agency for Research on Cancer’s (IARC) March 2015 assessment that “probably” causes cancer in humans. Due to the impasse, the European Commission will now have the final say on whether or not the controversial weedkiller remains on Europe’s shelves. Commissioners are meeting in Brussels today to discuss glyphosate’s fate in Europe. The clock is ticking as the EU’s current approval of glyphosate is set to expire in three days. If the executives do not extend the license by June 30, manufacturers have six months to phase out glyphosate products. Media reports indicate that the European Commission will likely settle on a “technical extension” of glyphosate for 12-18 months, an “11th hour” compromise that the commission had already proposed in early June to buy time for yet another study assessing whether or not glyphosate causes cancer. European opinion is sharply divided on whether or not glyphosate causes cancer or if it’s an environmental risk. Monsanto has consistently maintained the safety of its blockbuster product. Reuters reported that the agritech giant has not ruled out legal appeal if the license is not extended. 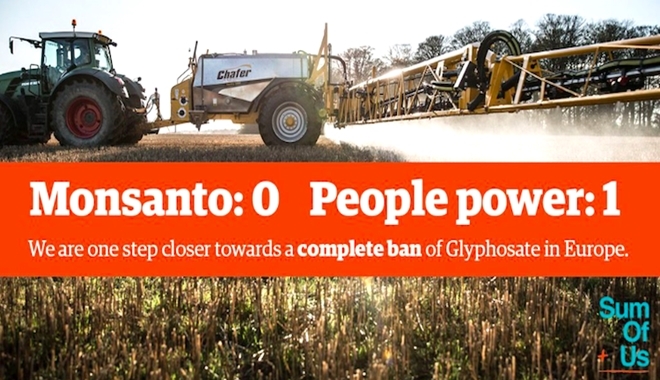 Jonas Oxgaard, senior analyst at investment bank Bernstein, told the publication that Monsanto could lose earnings of up to $100 million if the EU were to halt glyphosate sales. But the fact that the commission originally proposed to extend glyphosate for another 15 years but has now whittled it down to a temporary approval highlights the chemical’s uncertain fate on the continent.